Since 2013 the people of Creative Edmonton have been proudly focusing on high quality, handmade products from local vendors, assembling dozens of #yeg entrepreneurs for pop-up markets around the city. This upcoming Friday is no exception to the rule, though you can expect a change in theme if you're accustomed to these quarterly events. 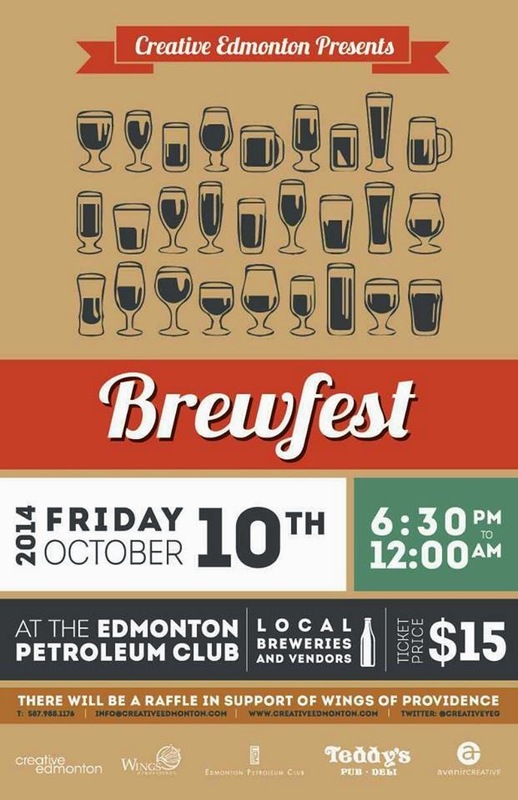 Brewfest, which will take over the Edmonton Petroleum Club (11110-108 Street) on October 10 (6:30PM-Midnight), will also share the spotlight with some of the breweries that call Edmonton home, including Big Rock and Steam Whistle. But there are plenty of other things to see and do at Brewfest, including live music, silent auction, raffle, door prizes, photo booth, and an array of locally-made gift ideas from nearly 30 different Edmonton businesses. For a full list of the vendors that will appear at Brewfest click here. Tickets for Brewfest are $15 and are available at the Edmonton Petroleum Club and Teddy's Restaurant on Jasper Avenue, or online at Eventbrite. You can also call 587.988.1176 for more information.